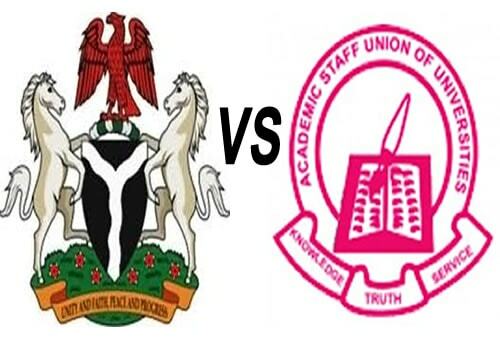 The Academic Staff Union of Polytechnics (ASUP) has called off its nationwide strike after two months. Usman Dutse, ASUP National President, announced this at a media briefing held at the end of its National Executive Council (NEC) meeting in Abuja today, Tuesday, 12th February, 2019. ASUP National President noted that the decision was taken in view of the progress made in its discussions with the Federal Government of Nigerian. We have hereby decided to suspend our two-month old strike action. This decision was taken at the end of our NEC meeting. This is in view of the progress made in the course of the union’s negotiations with the Nigerian government. The NEC of the union, after exhaustive deliberations and in due consultations with the respective congresses across the nation, resolved to suspend the current industrial action. The ASUP president Usman Dutse, stated that the federal government had shown willingness to make funds available for disbursement by April 2019. He also added that N16.7billion has been released for the payment of salaries and allowances. A circular had also been released to all rectors conveying increased personnel funding for 2019 and directing the payment of full salaries and allowances in Polytechnics. It is expected that the funds shall be made available for disbursement to deserving institutions by April 2019. Equally, the approval of the NEEDS assessment report shall be pursued with all diligence to ensure a sustained and effective intervention in the infrastructure and other needs of our institutions, he said. Well, the good news is; ASUP Strike has been called off 2019!